﻿ Is the new Honda CBR250R better than a 1982 Super Dream? A glance at the specs of Honda’s new CBR250R and the Kawasaki Ninja 250R could leave you wondering exactly what manufacturers have been doing for the last 30 years. Like the Ninja 250R, Kawasaki’s 1988 GPX250R was a steel framed four-stroke eight-valve parallel twin. 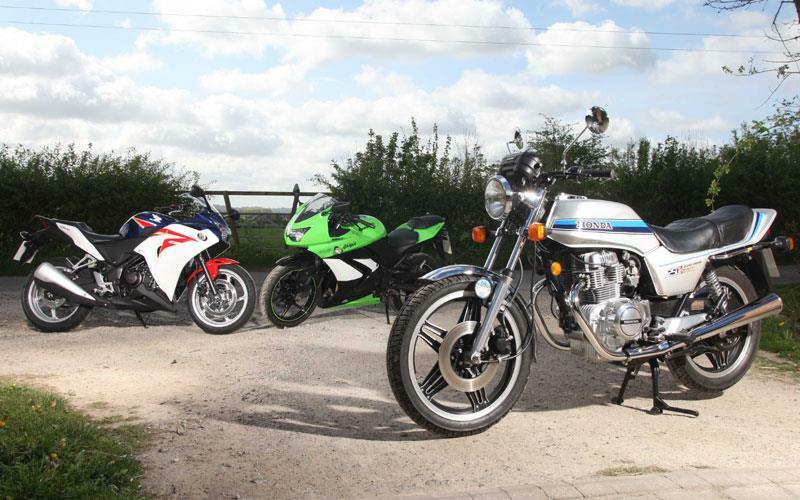 It was even referred to on MCN’s front page as the 250 Ninja, after its bigger brothers of the time. 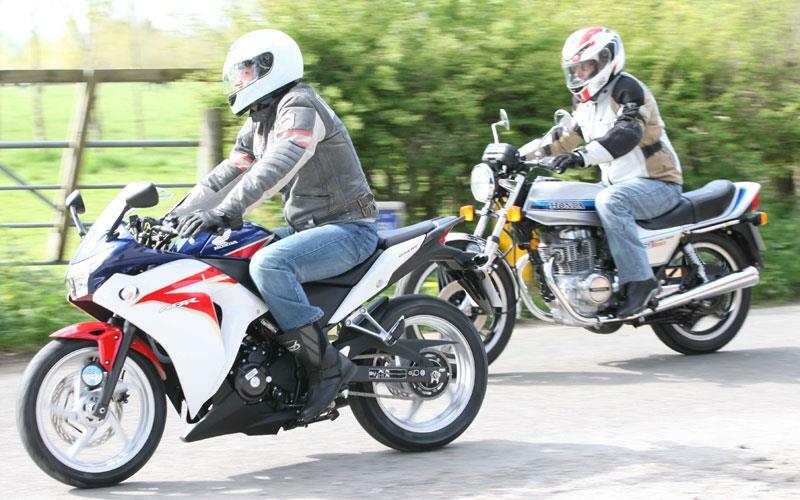 But unlike the 32bhp 2011 Ninja 250R, the GPX made a claimed 38bhp and hit 110.5mph in MCN’s speed test. Meanwhile, Honda’s 1990 Jap-spec CBR250RR allegedly made 44bhp and weighed 142kg. That’s 18bhp more and 20kg less than the claimed figures for the new CBR250R (albeit a kerb weight figure for the later machine). As for two-strokes, don’t go there. As long ago as 1987, Yamaha’s TZR250 hit 121mph in MCN tests and the later Kawasaki KR1S has been clocked at 139. In fact, to find a Jap 250 comparable on paper the new 26bhp CBR, it’s necessary to go all the way back to the 1979 Honda CB250N Super Dream. That made a reported 27hp and weighed 166kg. In MCN tests, it hit 86.7mph flat out. MCN tracked one down to see if the similarities on paper were borne out by real life. And Honda will probably be relieved to read that they are not. Nick Jones, 37, a driving instructor from Stratford-Upon-Avon, bought his Super Dream for £350 in 2005. He has since spent in the region of £2000 restoring it, making it still over a grand less than the new CBR250R, which costs £3688. It’s in concours condition, and the closest we could find today to the machine which rolled out of showrooms back then. But it’s no CBR250R. It’s a bit like a saggy old Bagpuss. It’s got loads of character but doesn’t exactly feel agile. The seat feels soft and cushioned and the suspension also. The front brake is in no hurry to do what you tell it. Power delivery is linear in the sense that there doesn’t seem to be much of it anywhere. Comparatively, the CBR feels peppy from low revs. Everything feels tight and firm, as you’d expect from a new bike. The brakes feel direct and sharp. The bike feels small and light. If the CB250N wins somewhere, it’s for having more road-presence and traditional, real-bike feel. You have to reach slightly farther for the bars and it just feels bigger. The CBR250R makes you want to throw it around; the Super Dream makes you want to sit back and enjoy the ride. And for some that will be the older bike’s charm. Read our CBR250R v Ninja 250R comparison test, including a top speed shoot-out, in MCN, on sale now.